WATCH THE TRAILER Single Tickets $6 Semester Passes $35 Where Are Films Shown? Where Can I Park for free on Campus? What happens when four legends of British stage and screen get together? 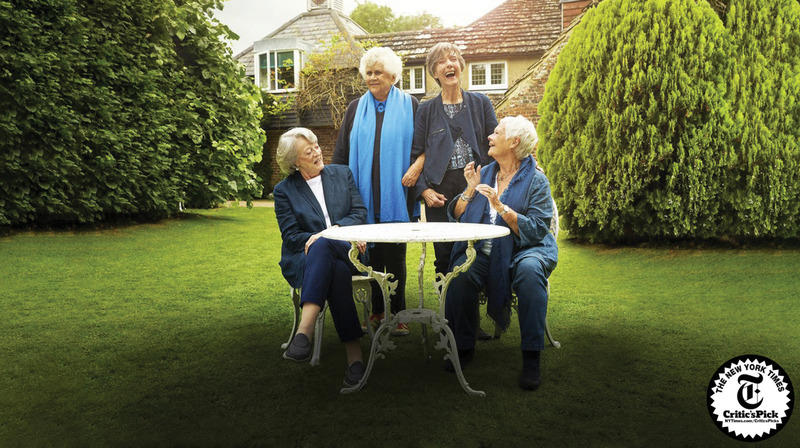 Dame Maggie Smith, Dame Judi Dench, Dame Eileen Atkins, and Dame Joan Plowright are among the most celebrated actresses of our time, with scores of iconic performances, decades of wisdom, and innumerable Oscars, Tonys, Emmys, and BAFTAs between them. They are also longtime friends who hereby invite you to join them for a weekend in the country as they catch up with one another, reminisce, and share their candid, delightfully irreverent thoughts on everything from art to aging to love to a life lived in the spotlight. Vintage film clips from their film and stage performances are interspersed with their lively conversation. Tea with the Dames 5:30 – Last Chance!